The first Test between Sri Lanka and South Africa, which starts on Wednesday at the Galle International Stadium will be the twenty third Test to have been played at that iconic ground. Of the twenty two played previously, Sri Lanka have won twelve and lost four. The first Test played at Galle, in June 1998, provided what might almost be called a template, setting as it did a precedent that has been followed reasonably faithfully since. Read the rest of this entry ? 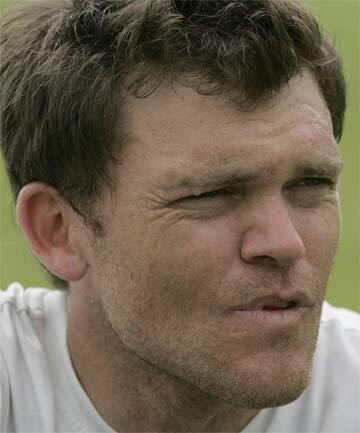 ADELAIDE | The troubled life of former Adelaide-based international cricketer Lou Vincent has taken a sad turn with his life ban from the sport. In a video statement released overnight, Vincent, who played district cricket at Prospect Cricket Club, said he had lived with his “dark secret” for many years, and had only recently decided to come forward and tell the truth. The punishment, which was confirmed by the England and Wales Cricket Board, stems from one-day matches that Vincent admitted he helped rig in English county cricket. His former Sussex team mate, Naveed Arif, was also banned for life last month after admitting similar corruption offences. Read the rest of this entry ? You are currently browsing the Critiquing Cricket blog archives for July, 2014.